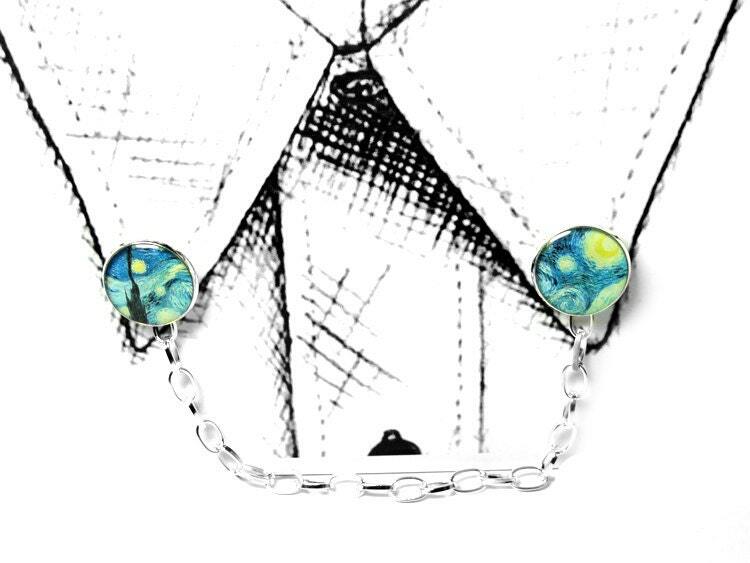 These beautiful and colorful A Starry Night collar clips are made using jewelers grade resin in order to preserve and enhance the images. 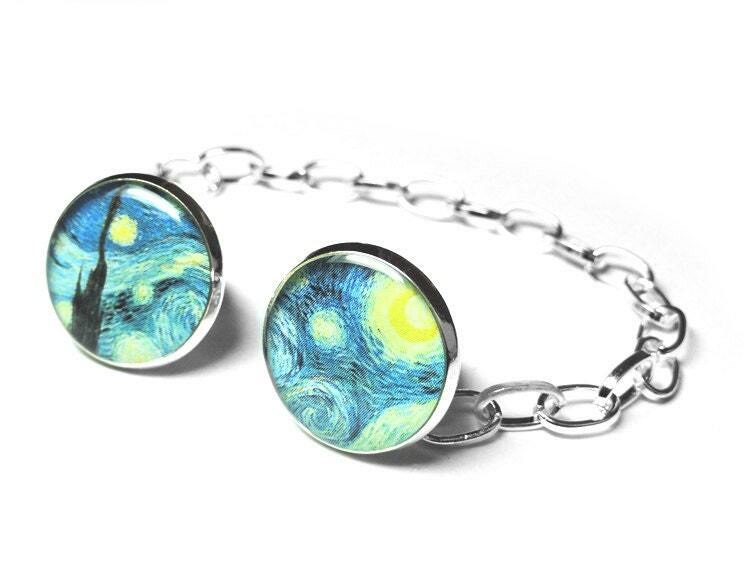 They are absolutely perfect as the finishing touch on a collared shirt and/or sweater. Specs: These silver plated clips are 3/4" in size. The silver plated chain measures 5" which is a nice drop length for most collared tops and sweaters. If you prefer a longer/shorter length, please make note at check out. Your item will be packaged in a Kraft jewelry box as pictured. Came just in time for my mom's birthday! She absolutely loves it. 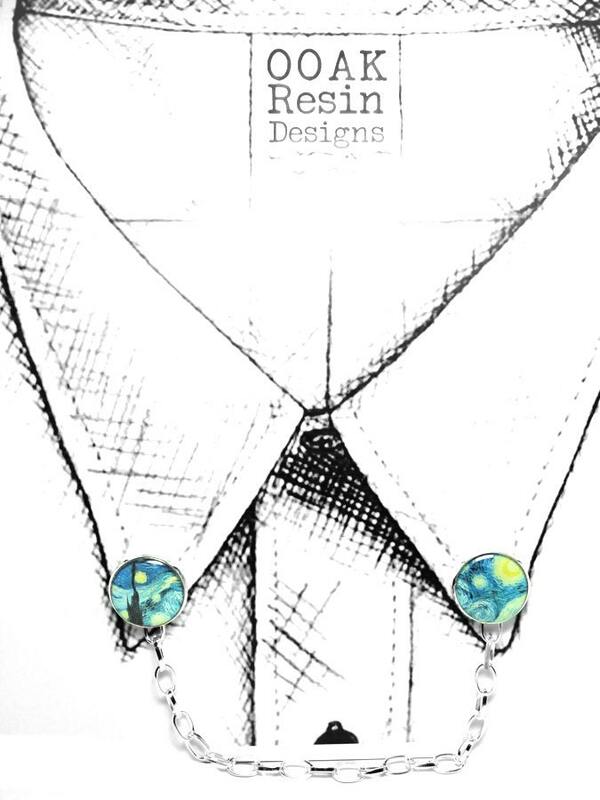 The design is striking, the quality is great, and the fashion possibilities are endless. Excellent buy. 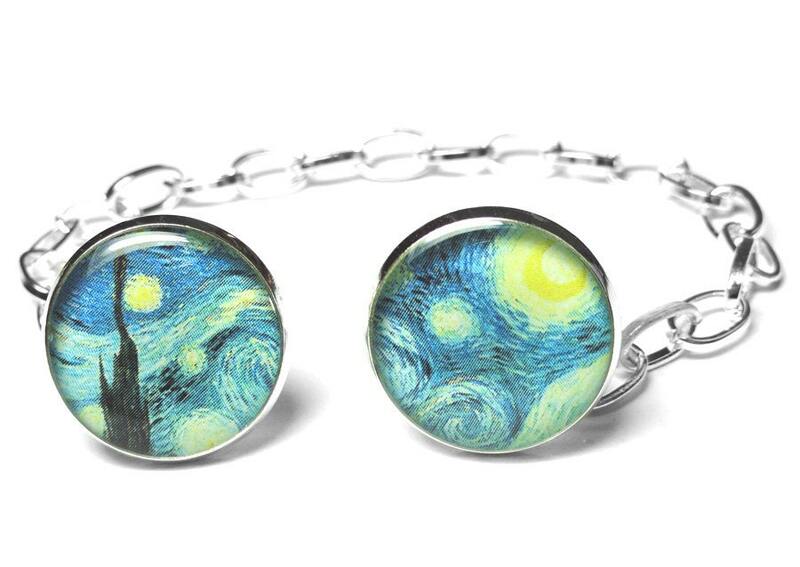 The Starry Night graphic is bright and crisp, all the metal pieces feel sturdy and secure. Best of all, my girlfriend loves it!